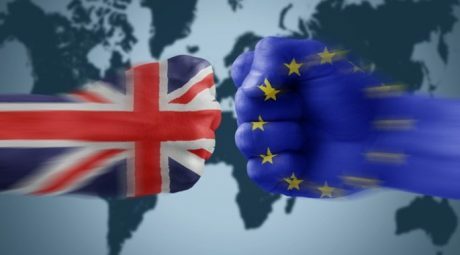 BREXIT, Nordic Resistance Movement, Dennis Wise – ITEL Radio – 6.18.16 | Inside the Eye - Live! Inside the Eye – Live! for Saturday, June 18. 2016, was an information packed show. In hour 1, we looked at some current events, including Britain’s pending vote to exit the European Union (BRExit). In hour 2, spokesmen from the Swedish branch of the Nordic Resistance Movement, joined to discuss some of the latest political realities with Sweden. In hour 3, Dennis Wise, the producer of the acclaimed videos “The Greatest Story Never Told” and “Communism by the Backdoor”, came on to discuss his work and research into the movements that have shaped current geopolitical realities. A key event for the first week of Summer 2016 is Britain’s going to the polls to vote on whether to exist the European Union or remain a part of what is proving to be an unwieldy, expensive, and non-responsive, unelected bureaucracy known as “the European Union”. The costs to the United Kingdom, in national treasury, national sovereignty, and cultural identity have been massive under the unaccountable European Union. Whether the British can muster the votes to remove themselves from the EU monstrosity remains to be seen, but look for existing power structures to do all they can to corrupt the vote and ensure that the trough that is the national treasury of England continues to feed the unelected and unaccountable.